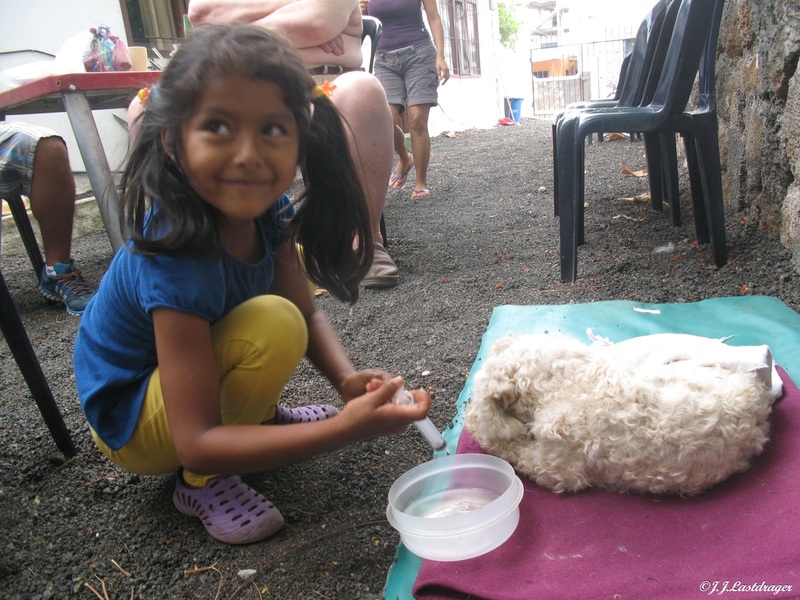 Travelling Animal Doctors came to the Galapagos in March 2013 where they started helping an American organization who ran a part-time clinic on Santa Crus. Since then, together they provide free veterinary care, focusing on sterilisation, in order to aid in the humane control of the effect of domesticated introduced species on the protected ecosystem. 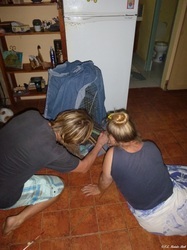 When Travelling Animal Doctors first arrived to support the project, the clinic was only open for short periods in the summer months primarily to run sterilisation campaigns. 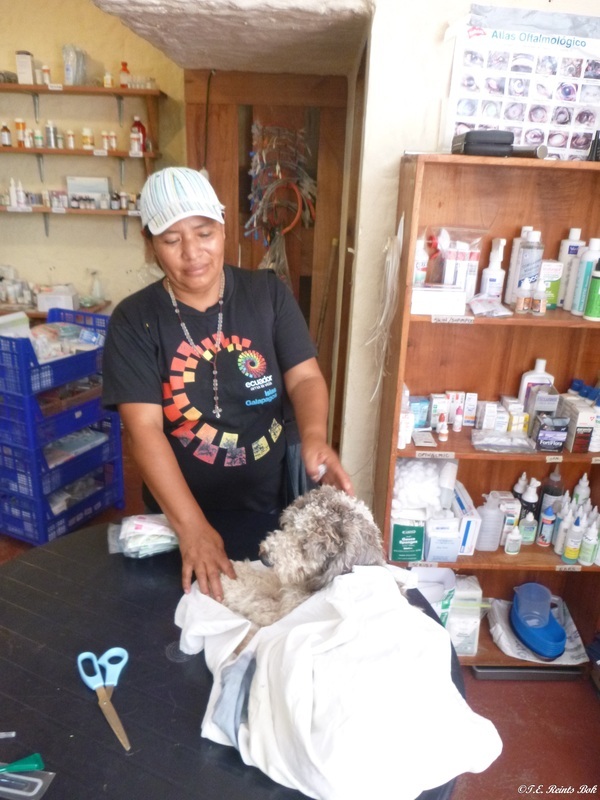 In the initial stages, two vets of Travelling Animal Doctors spent three months volunteering in the clinic on Santa Cruz. 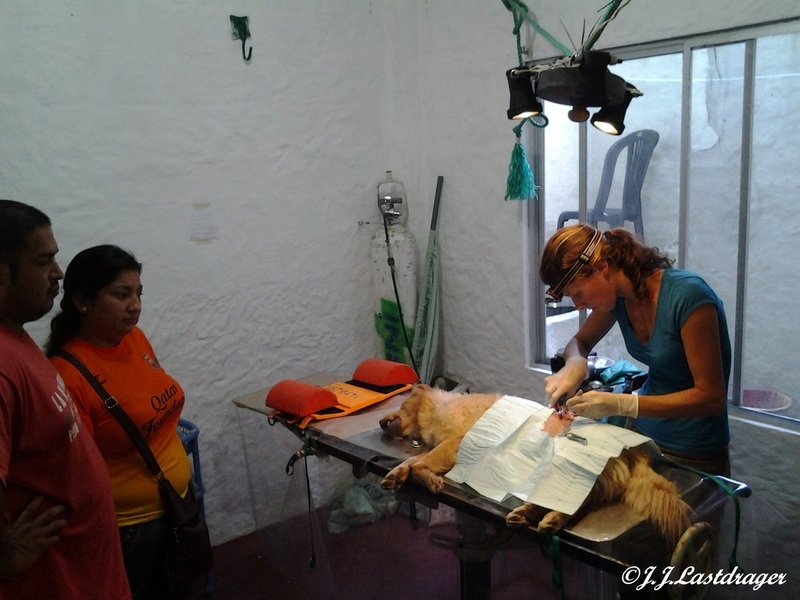 During their time running the clinic, the team organised to work with volunteer students from the United States, conducting spay and neutering surgeries in the morning, treating walk-in cases in the afternoon and running a 24/7 emergency line. As the only veterinarians available on the island, the workload was continuous and more than full-time. 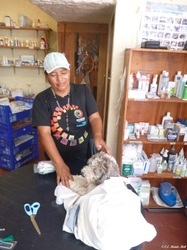 The need for veterinary help was clear, and so Travelling Animal Doctors worked to developed and expanded the volunteer database for the clinic, and worked with the local government to strengthen the trusting relationship between them. 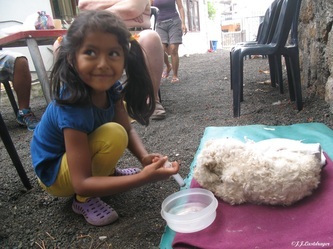 They were able to organise a half week spay/neuter program on Floreana, where 39 animals were sterilized, and a three month long program on Isabela, where there had not been a veterinarian present for over three years, sterilizing over 150 animals and treated over 400 more. 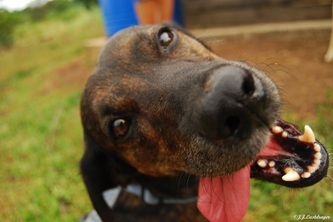 During their work in the Galapagos, it became evident that there was a sense of mistrust toward veterinarians due to questionable practices conducted previously on the islands. Furthermore, there were many prevalent myths regarding treatment of animals, and in particular surrounding the concept of sterilisation. In such a globally important and delicate ecosystem, the need for people to understand the purpose of sterilisation in controlling the rapid reproduction and growing impact of introduced species was magnified. Travelling Animal Doctors had begun working to regain this trust, and to dispel such myths, but it was clear that a longer term commitment was needed. 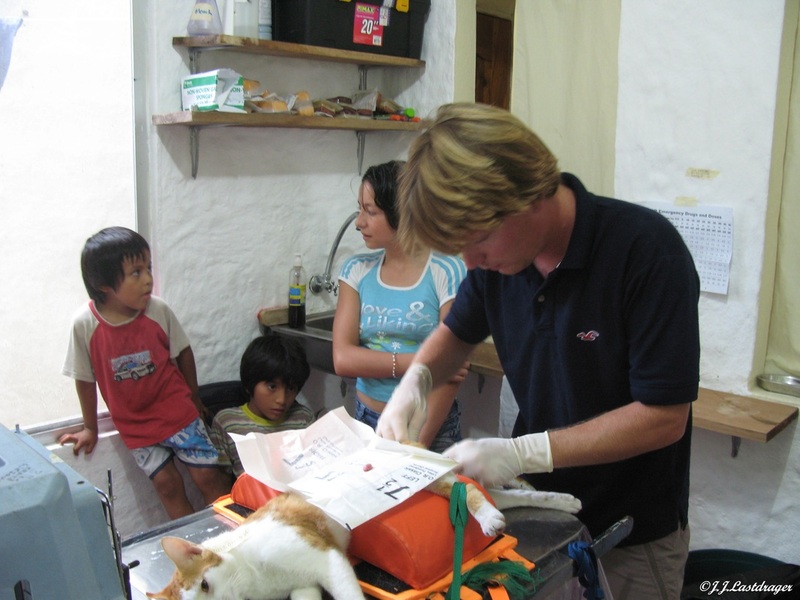 Hence, in January 2014 the clinic attracted a full time veterinarian to the clinic in order to keep it open all year long, providing Puerto Ayora with a full time 24/7 emergency service. Through their clear constant commitment to the community, the organisation had built a trusting relationship with the community over the years. From this position, the team has been able to develop their educational outreach programs and start a true change in understanding. With educational stands to bring information to the more remote highlands of the islands, through educational posters and information available throughout the clinic, and constant conversations and availability of knowledge through the presence of a constant veterinarian at the clinic, the team has been true to their commitment to educational change. Now, further this, we have started initial stages in the introduction of a full educational program into the local schools to teach children how to look after their pets, the impact of introduced species, and how to control that impact, primarily through sterilization. As well as the full-time clinic and developing educational program, the team is working alongside the ABG to run multiple sterilization campaigns in the various islands as well as in the remote highlands. Through these campaigns alone, the organisations have sterilized hundreds of, this in addition to the animals that have been sterilized through the clinic. 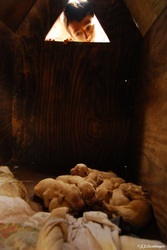 To give an idea, if we assume only half were female (although this is an underestimate), and we count only the reproduction rate of the females, and count all animals as dogs (as the reproduction rate is much slower than with cats) this has stopped the massive reproduction of tens of thousands animals here in the Galapagos in just this three years. Even as an extremely conservative estimate, this is a huge impact. 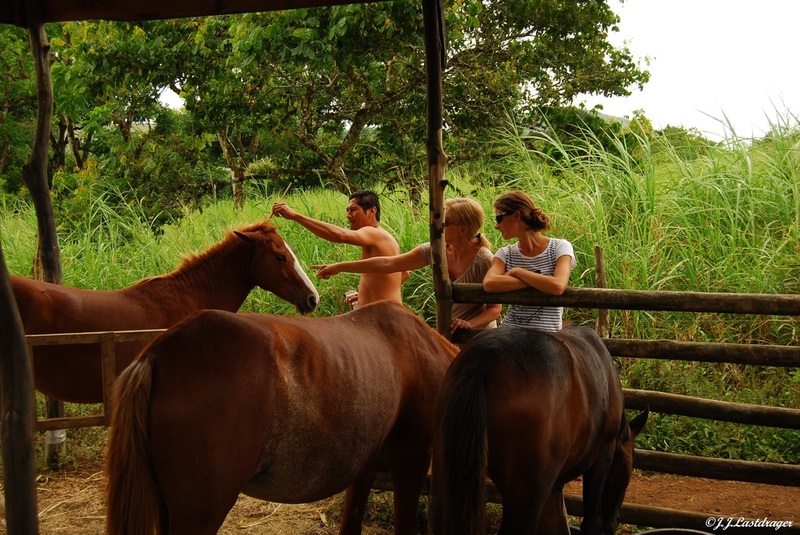 Through the education work done, numbers of people willing to bring their animals forward has increased, while the prevalence of myths surrounding sterilization and general animal treatment have visibly been diminishing. 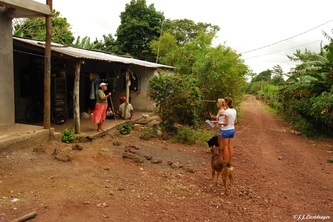 Alongside this, the organisations have been recording the prevalence of cases of diseases such as Parvo Virus and Distemper to help argue the case of allowing vaccinations into the Galapagos (seeing as they are still illegal on the Islands). This is especially important as some of these diseases can affect the native wildlife. The organisations are also pushing to stop the control of introduced animals by poisoning and shooting, a method previously used regularly. 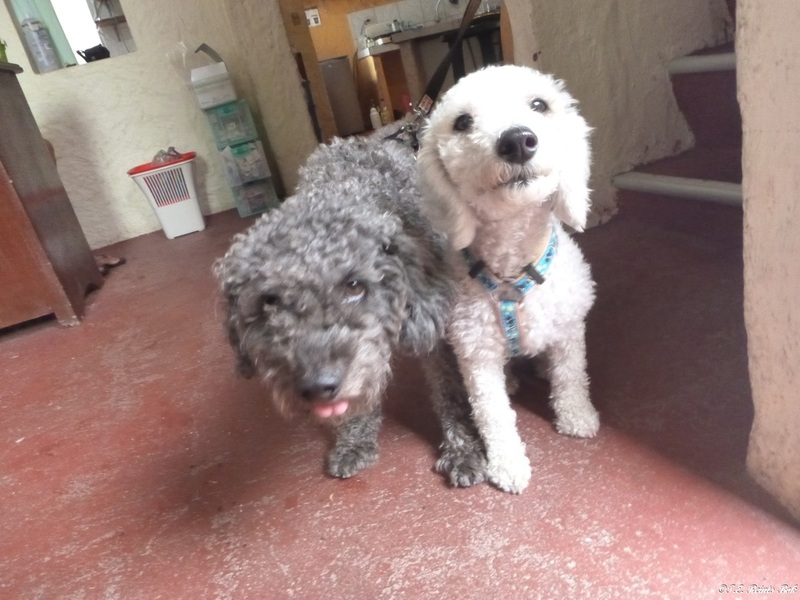 Further, with the introduction of the Word Lead-er program, which focuses on giving out free leashes, over 800 leashes have been given out for free to the people of Puerto Ayora and other locations in the world. In Galapagos this has directly corresponded with a severe reduction in hit-by-car cases in the clinic.